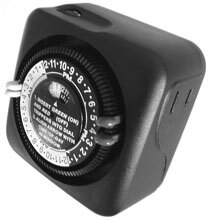 This timer is designed to fit inside rain tight 3R NEMA low voltage lighting transformer enclosures to turn landscape lights on and off. 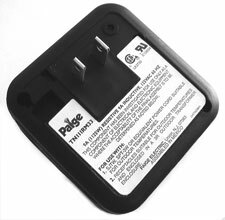 Paige Electric photo controls are used in conjunction with these timers so that the lights come on when it gets dark and they go off at the Off setting of the timer. Up to 2-on and 2-off settings per day. Internal components are designed to operate at higher temperatures than indoor rated timers. 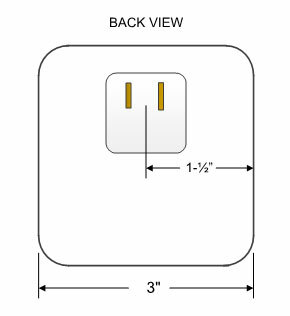 SJTW, SPT-3W, or equivalent power cords, suitable for outdoor temperatures, are plugged into the timer. 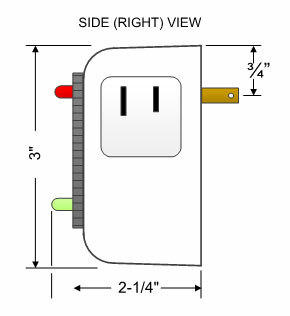 The timer is plugged into receptacles suitable for outdoor temperatures. The timer is enclosed in a NEMA 3R outdoor transformer enclosure.